After he almost lost his life in the 9/11 terror attacks, a retired New York firefighter donates his kidney to a complete stranger, saving her life. 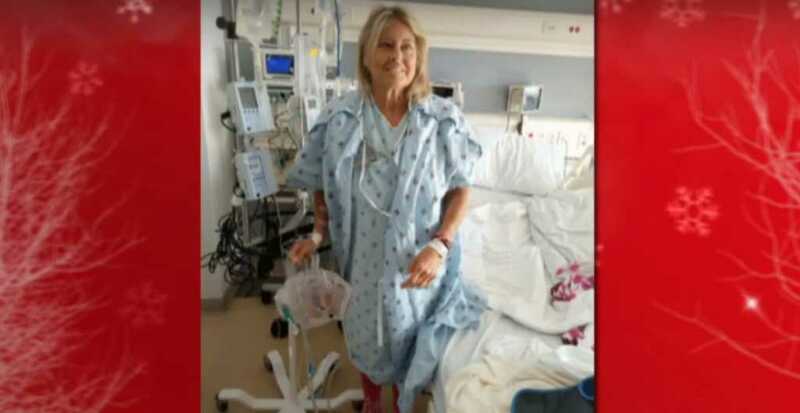 Kevin Shea, 50, recently discovered that he was a match with 59-year-old California special education teacher Lois Knudson, who was in desperate need of a new kidney in order to save her life, according to the New York Post. Despite almost losing his life through his heroic actions to save others on that fateful day, Shea decided to go through the process, again, as the firefighter donates his kidney to save yet another life. “It’s an absolute miracle. I will never need another Christmas gift,” Knudson said, adding that she was overcome with tears when hearing that the donor was a 9/11 hero. Shea was coming to the end of his 24-hour shift at a firehouse on Manhattan’s Amsterdam Avenue when the call came in. He took the last place in the fire truck and raced downtown to the devastating scene at Ground Zero. “There was an extra seat on the engine,” he recalled, as reported by the New York Post. “I’ll take that, sir,” Shea told his lieutenant. Shea was nearby when the South Tower collapsed and was blown back by the massive force of the tumbling debris. He was discovered unconscious among broken concrete and metal near the West Side Highway more than a block from where the towers once stood. Suffering from a broken neck, Shea was rushed to the hospital. When he woke up, the heroic firefighter was informed that he was the only one of his crew to survive that terrible day. “I survived through luck—and they did not,” he said. Knudson suffers from a degenerative and eventually fatal kidney disease that runs in her family. Her sister has already died from it, and her mother succumbed to the illness aged just 42 when Lois was just five-years-old. Out of a fear of passing on the fatal gene, Knudson and her husband decided not to have kids, but instead to give all their passion to teaching special-education students, committing to their work for 37 years. Knudson won some five Teacher of the Year awards. The brave woman explains how she had to undergo hours of treatment so she could keep teaching. She explained that she was “hooked to the machine three days a week for three hours at a time after teaching a full day.” Eventually, it was time to look for a transplant match. Finally, two days before Thanksgiving, the call came in—there was a brand new kidney waiting for her! Knudson could not believe it, after having many of her friends and family come forward to donate, before finding out that they were incompatible. However, after much time, Shea emerged as the perfect match, and, unreluctantly, the firefighter donates his kidney. Shea, who calls himself a “solutions guy,” stepped up, as the firefighter donates his kidney to save Knudson’s life. Still, a born “fixer,” he views the whole thing from a very pragmatic position—something that he learned from his firefighting days. The two ended up connecting, and Knudson even got a chance to speak to Shea on the phone, thanking him for his generosity. She said that it felt as if the pair had been friends for years. She will be eternally grateful for this wonderful gift of new life. “I’m feeling great. I’ve never felt better,” she told Fox News.